This Gen. 2 Crew Pro from Myerchin's Titanium Series is a more compact version of the Captain Pro, and one of the best rigging knives around. 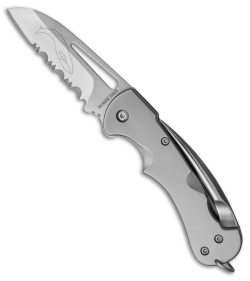 It has a pro-grade German Marine stainless steel blade with a satin finish and a 3/4 serrated cutting edge. The blade is easily opened using the elongated thumb hole, and locks up solid. A corrosion-proof titanium handle provides a lightweight, durable frame with a slim profile. This folding knife is equipped with a locking marlinspike and a convenient pocket clip. 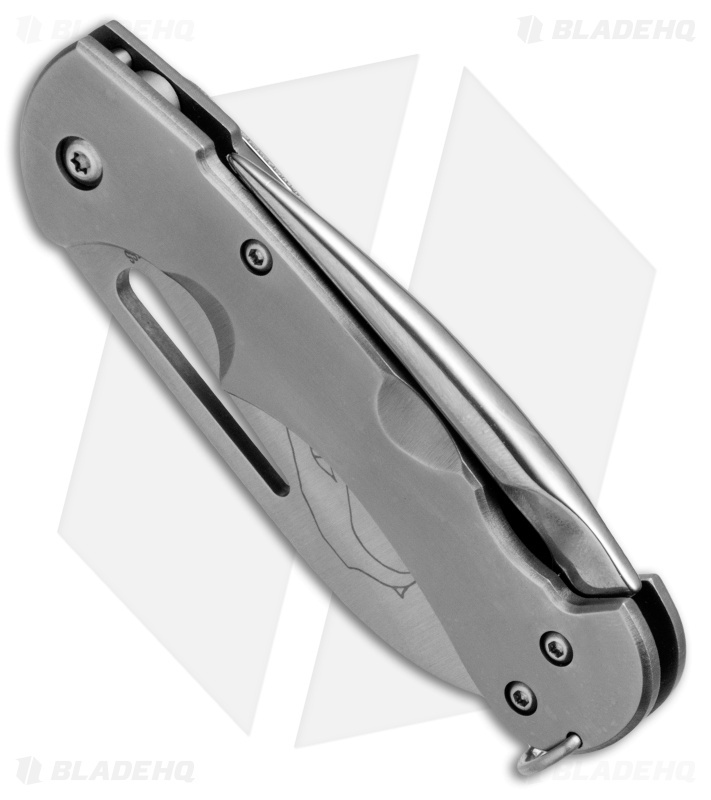 Open titanium handle construction for top-notch corrosion resistance and easy cleaning. 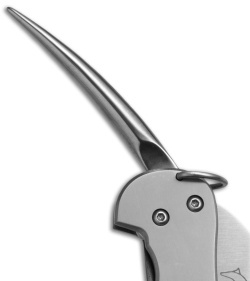 Unique double frame lock provides secure lockup for both the blade and marlinspike. 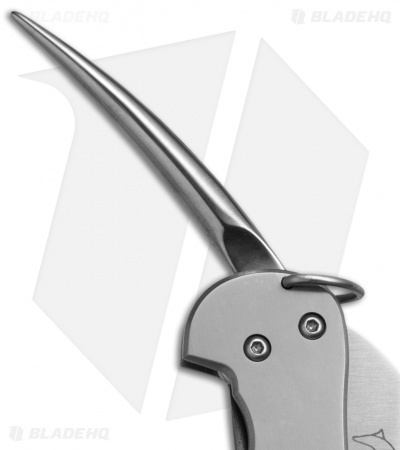 Partially serrated sheepsfoot blade assists in the safe execution of daily offshore tasks. 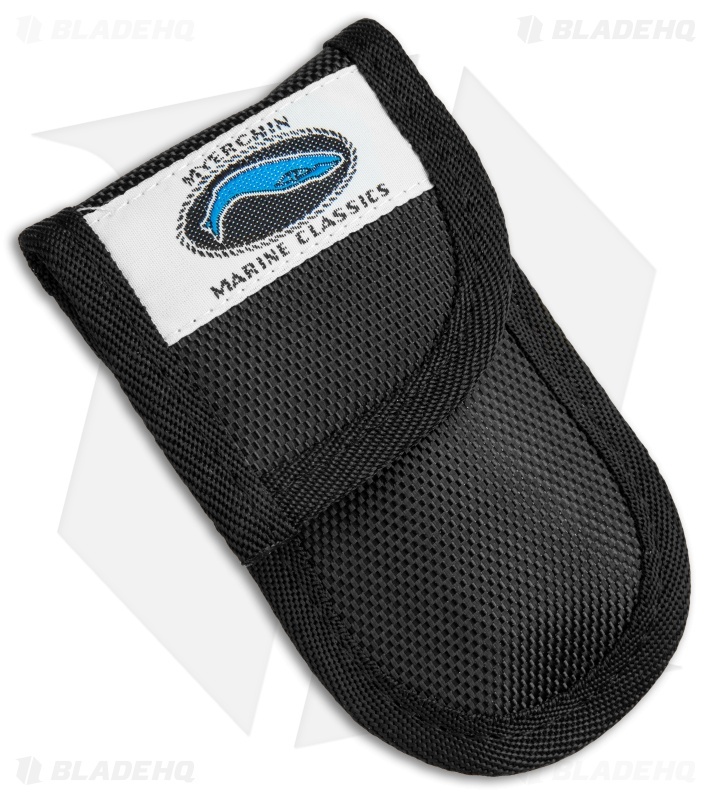 Includes a nylon sheath for secure carry and storage. Outstanding design, very light, narrow and compact. The holster is useful. 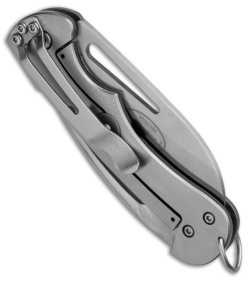 Blade cuts rope great.